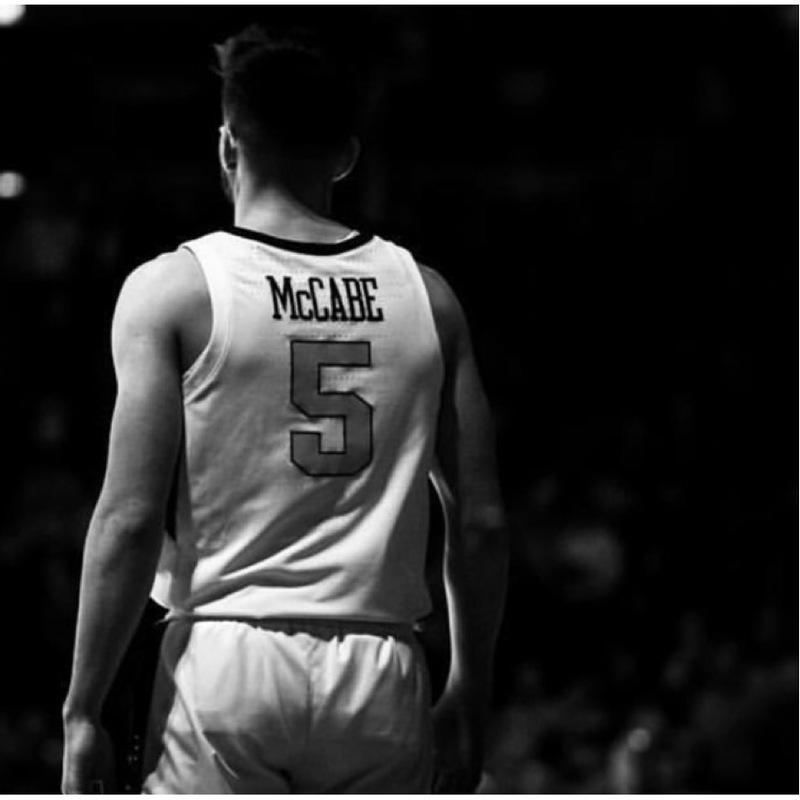 Jordan McCabe transformed from a boy wonder, a wunderkind of basketball to a man last night. Yes, he appeared on Ellen and became YouTube famous and traveled with the Globetrotters and if you ever forget that, the commentators will remind you of it every single game. Jordan McCabe no longer wants to be seen as the precocious boy who is known for his past accomplishments; rather, he wants to focus on the present and future of his basketball career. Perhaps now instead of bringing up his past, announcers will talk about his coming out party, where he scored 25 points, had 11 assists and 6 steals in an upset win over TCU, a game that led to the start of something special for WVU basketball. He appears advanced both emotionally and intellectually, conducting and carrying himself in an ultra-mature way in interviews and on the court. He might look like the boy that led his high school team to a Wisconsin state championship, but he is now the man that will lead West Virginia University to many great wins in the Big 12 and NCAA tournament. From last night: Even though @WVUhoops' record may not indicate it, freshman Jordan McCabe says the 3OT win vs. TCU is proof the team has come a long way over the last few weeks. 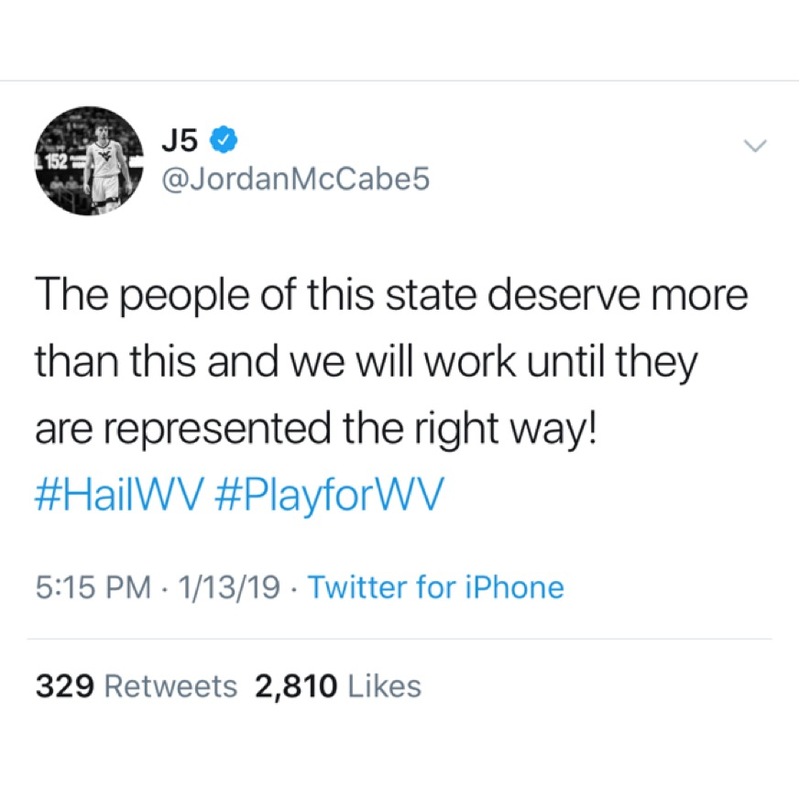 On January 13th, Jordan McCabe tweeted, “The people of this state deserve more than this and we will work until they are represented the right way!” Thank you for representing us and the great state of West Virginia the right way, Jordan.